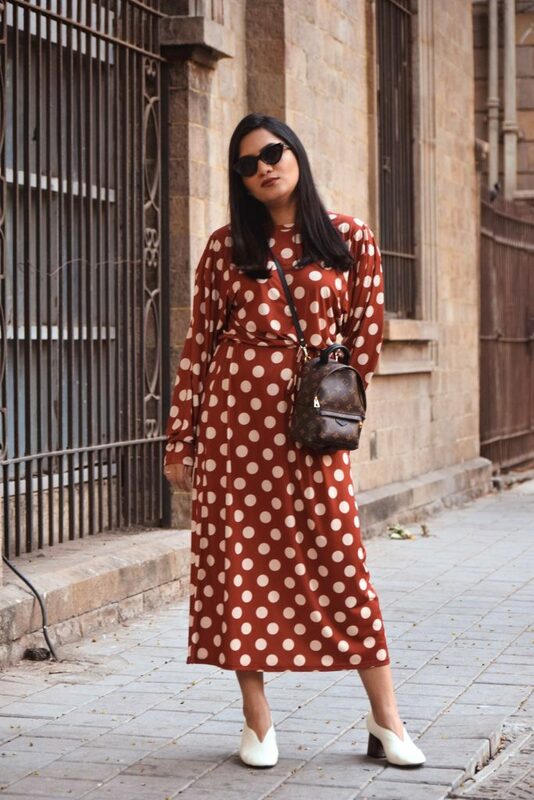 If you find the skater dress pretty dated then a polka dots midi dress like this one with on trend details like the puff sleeves and the brown and white dots combination should be your pick. 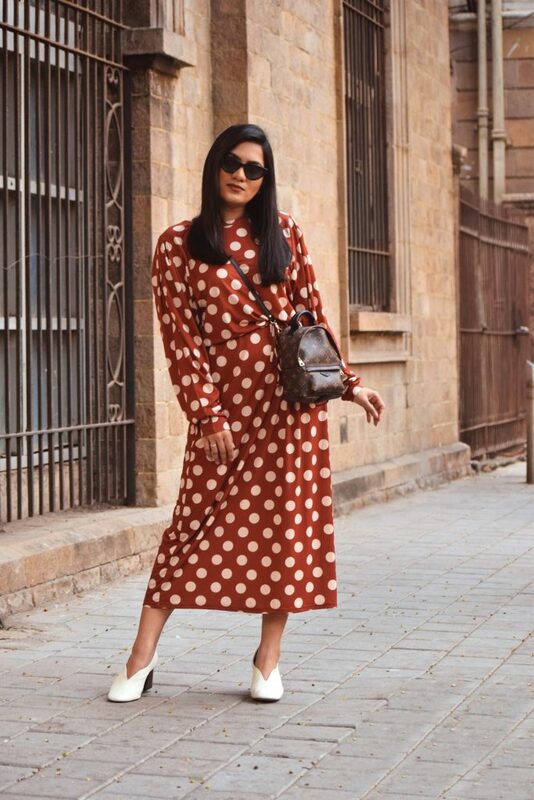 The most basic way to try this trend, a classic elegant polka dots blouse. 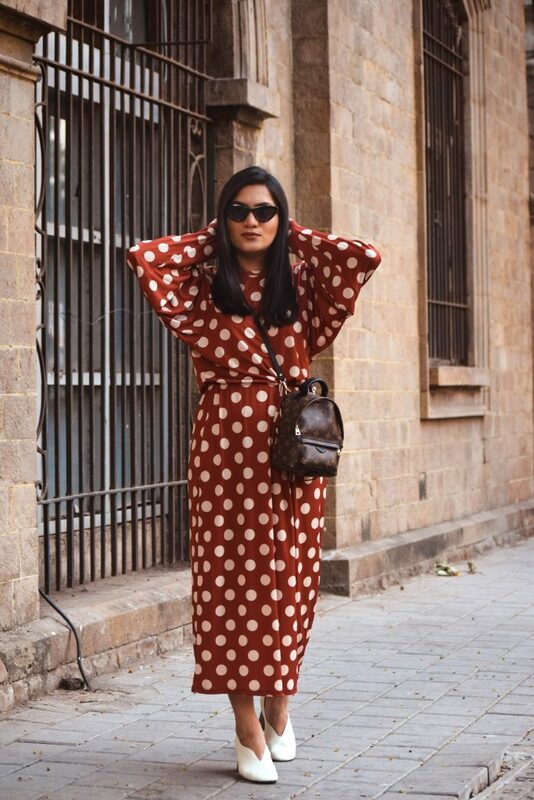 Pair it with your formal trousers for a day at work or your denims. 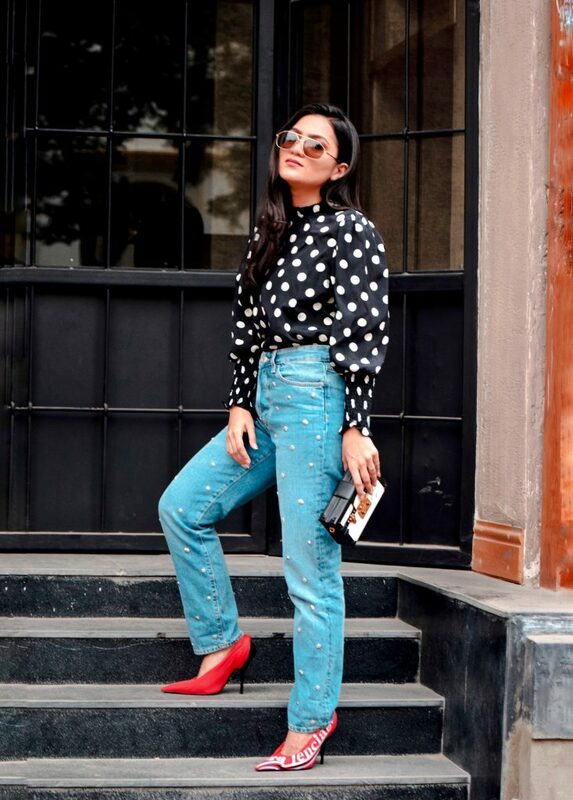 A polka dots blouse is the most subtle way to give this trend a shot. 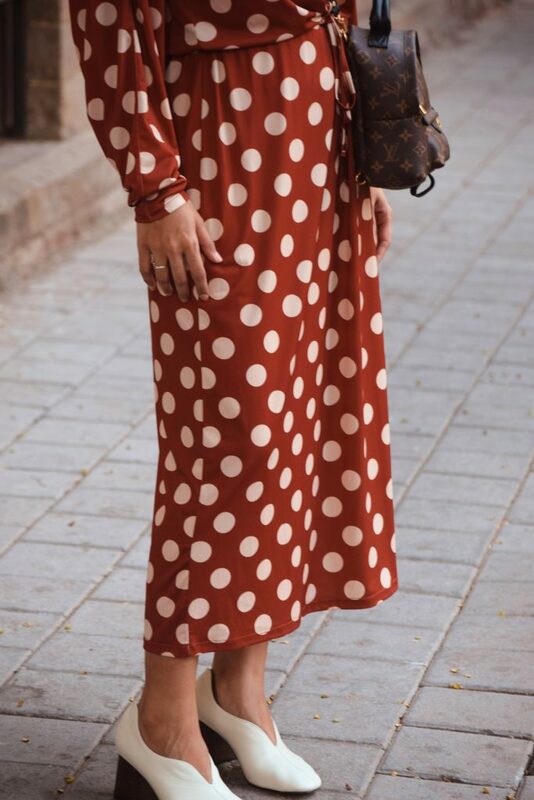 If you over your fear of polka dots and want to try something bold then mixing polka dot prints is something you need to try. 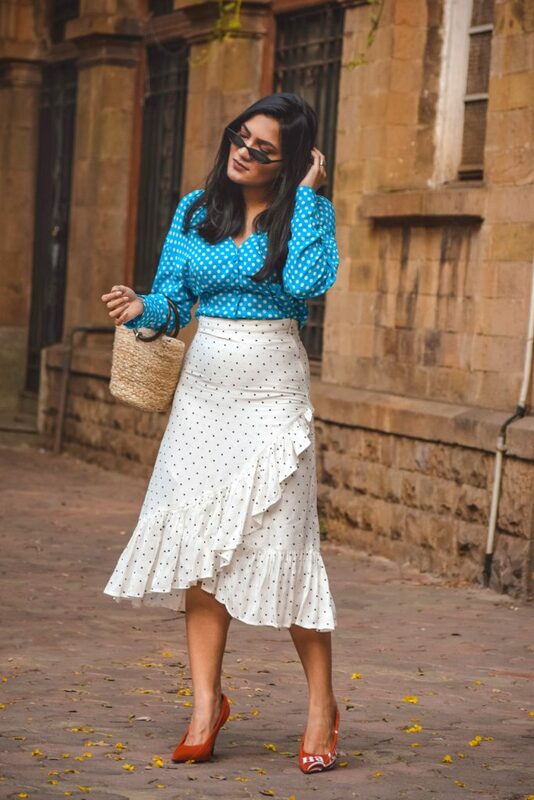 Pick a colour palette common in both pieces, mix dots of different scales and voila you have mastered the print mixing technique.